This is an official website of the Tsunan-machi Commercial and Industrial Association, an official (specially authorized) foundation established principally in the town’s rural area on the basis of the Commercial Association Act of Japan. 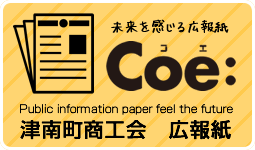 Translation service is installed in the entire website for those from overseas to learn about the Tsunan-machi Commercial and Industrial Association. The Tsunan-machi Commercial and Industrial Association is located in Tsunan-machi, Niigata Prefecture, a heavy snowfall area in Japan. The association carries out a wide variety of activities for the object of counseling and assisting the local merchants concerning business improvement, promoting regional economies, and contributing to the advancement of general welfare. 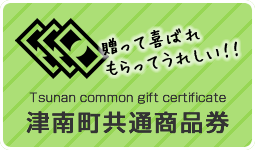 This website introduces the activities of the Tsunan-machi Commercial and Industrial Association and information of the Tsunan-machi merchants who support the association. Free translation service by a third-party website is utilized for this website. Translation may not be accurate due to its automatic service. The Tsunan-machi Commercial and Industrial Association shall not be responsible for inaccuracy or error of translation. Copyright(c) 津南町商工会 All Rights Reserved.